Y'all know how much I love Amazon. Even being across the world, Amazon is my friend. No, I don't know what I pay for shipping. And I don't care. I do know that I am a member of Amazon Smiles and am supporting Abby's Angels Foundation with every purchase. Therefore, the more Amazon I buy, the better. 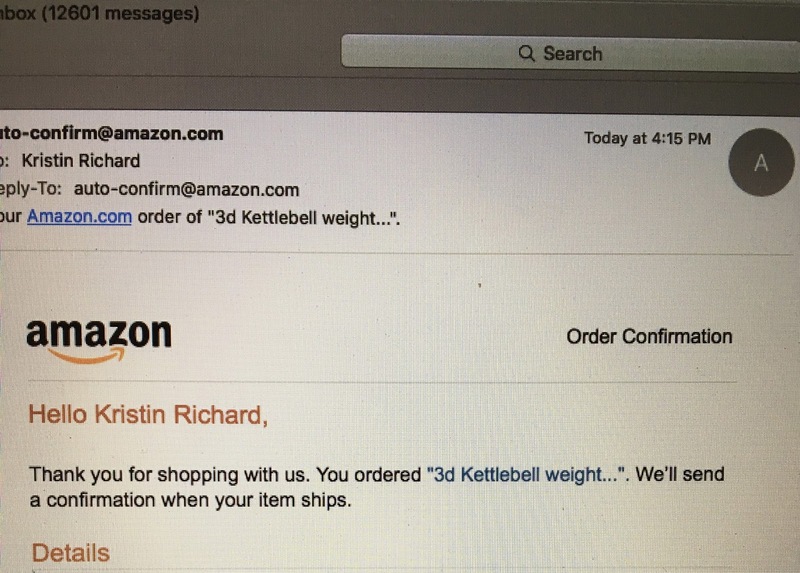 Today, Katie sent me a text saying she used my Amazon account to purchase an item for a China friend. Said gift was being mailed to NY for another China buddy to retrieve during spring break and take back to Shanghai. No problem. As long as you are using your own credit card, I don't care if you use my account. You see what I saw, right? She was shipping kettle bell weights to NY to be carried back to China. What the heck? That's insane. Sent a text back. "Heavy gift to bring back." Reply: "It's a charm. Pretty light. Can't tell if you are joking or not." Me: "Oh, all I saw in the preview was 3D kettle bell." Foiled once again by Amazon and it's ability to shorten the names of items shipped. I"m not sure Katie has stopped laughing at me yet. She did say that was the best thing she heard all day. Glad I could oblige. Geesh. Turning the family blog into an adventure journal as we move across the world for a two year tour in Hong Kong!